It has been two weeks since his major operation and the singer has a whole new look. "The beard does not make the man," Jo said about his new look. 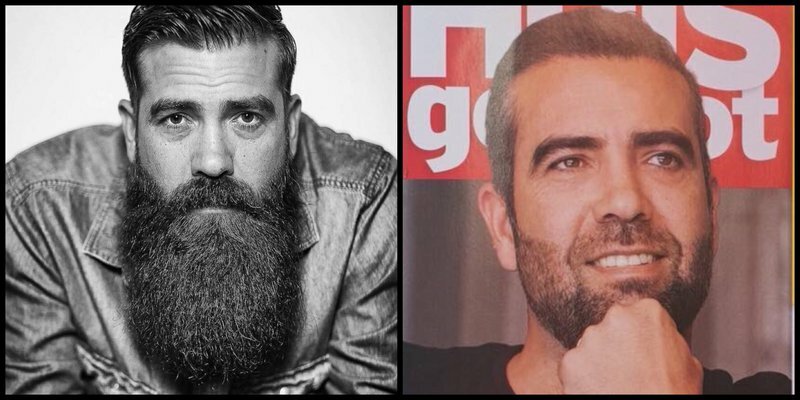 The 'Skepe' hitmaker is on the latest cover of Afrikaans magazine Huisgenoot and on the front page Jo can be seen rocking a new - way shorter - neatly-trimmed beard. According to the headline on the magazine, even-though Jo's beard might be something of the past, he will still be able to sing. Jacaranda FM reported earlier in September that the singer had cancelled all upcoming shows due to his neck operation. Jo shared a photo of the magazine cover, thanking his fans for all their support and prayers. "The pain is still a bit of a problem, but I should be 100% fine soon," he also commented on his new beard; "the beard does not make the man!" On Sunday, 9 September, Jacaranda FM reported that Jo's operation was successfully executed and that Jo would be recovering over the following weeks. Jo was initially scheduled for a major neck operation at the end of September, but following the advice of medical specialists, the operation was moved up. What do you think of Jo's new look? Comment below.